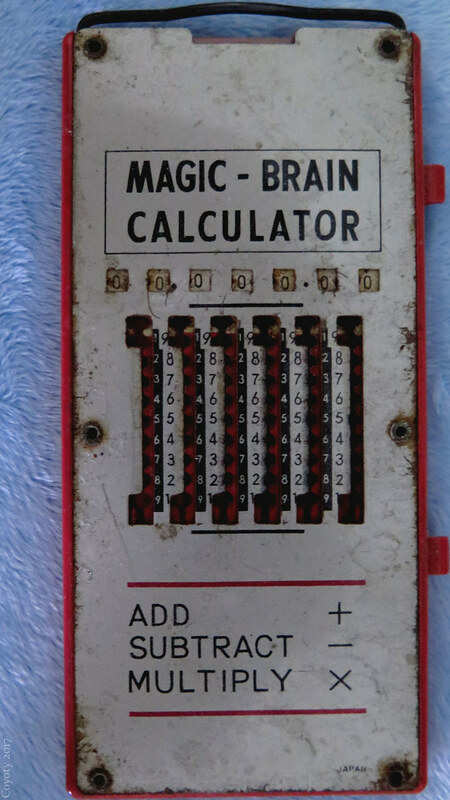 Magic-Brain Calculator, purchased from a TV Guide ad in the 1970s. All it does is add and subtract things, but it does it without electricity, mechanically. It came with a stylus, but you can use a pen or pencil tip to slide the geared tabulators. When done, you zero it by pulling the handle at the top.